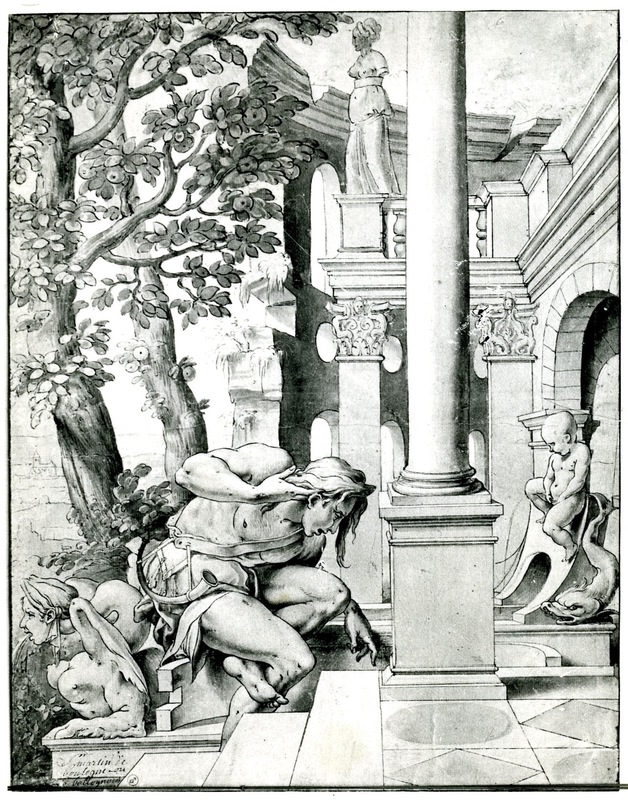 Engraving by René Boyvin?, 37.7 x 23.4 S + P (Chicago). Destailleur, 1895, 277, under no. 1145, as Boyvin after Rosso. COLLECTIONS: Florence, 7928ss; 7929ss. Chicago, 1990, 455, very fine and untrimmed impression on ivory laid paper (slightly damaged and redrawn in the area of the carved slab at the top just right of center). New York, 32.92.27 (26) (trimmed on all sides and around cherubs at top; upper scrolls cut away). New York, Hill-Stone, Inc., 2010, Catalogue 13, no. 30 (Fig.E.8b), superb impression very carefully trimmed around image. Zerner, in EdF, 1972, 297, under no. 367, as in the manner of Boyvin after Rosso. Borea, 1980, 263, no. 678, as Boyvin after Rosso. Carroll, 1987, 188-191, no. 62, with Fig. 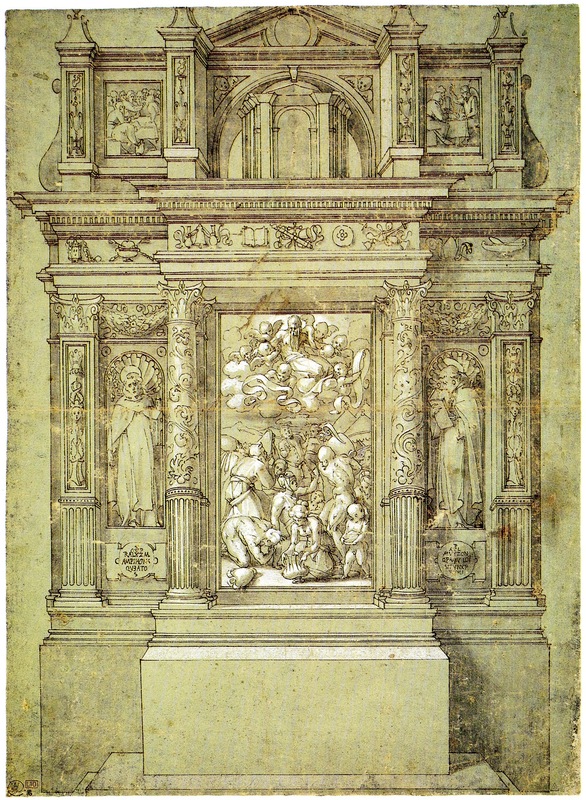 (Florence, 7929ss, showing two printing creases at upper left and right; royal collector’s mark eliminated from photograph at bottom of impression), as by Boyvin or someone in his shop, after Rosso of 1530-1532. Béguin, 1990, and Fig. 99 (Florence, 7929ss), as done later than the print by Master I.♀.V. Miller, 1992, 113, n. 9, seems to indicate that he accepts Béguin’s arguments. Siever, 2000, 38-39, and n. 28, makes note of Béguin, 1990, and its reference to the Cardinal of Lorraine. The style of this image clearly supports the attribution of its design to Rosso as indicated by the inscription. 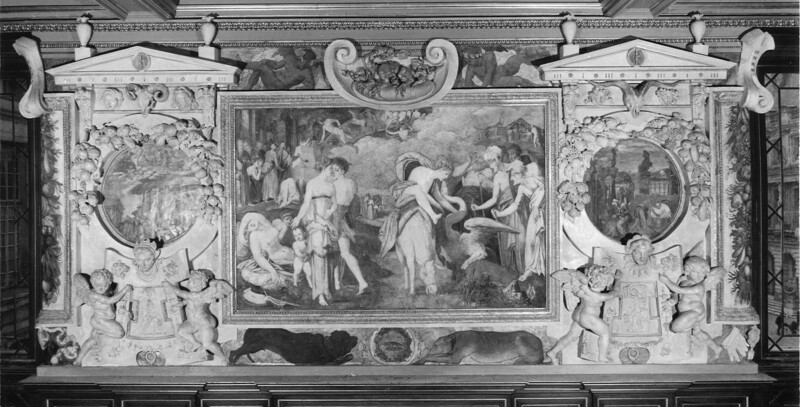 The head of St. Paul resembles that of the old father in the Twins of Catania fresco in the Gallery of Francis I, while the figure as a whole is like the Gaul in stucco to the left of this painting (Fig.P.22, V N a). 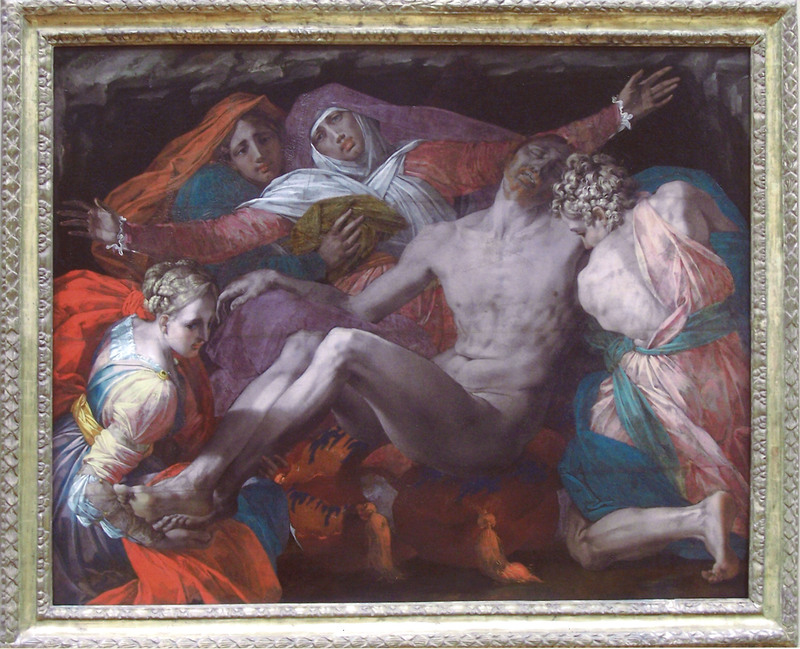 In the various ways that the drapery of the figures falls and is folded, it matches very closely what appears in the Pietà in the Louvre (Fig.P.23a). 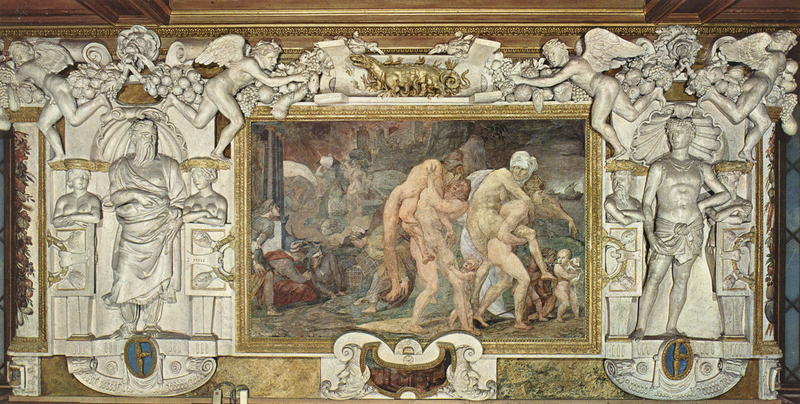 The muscular cherubs are similar to those alongside the Loss of Perpetual Youth in the gallery (Fig.P.22, II S a); their baldness in the engraving suggests a derivation from a drawing by Rosso – see his Design for a Chapel in the British Museum (Fig.D.37a). 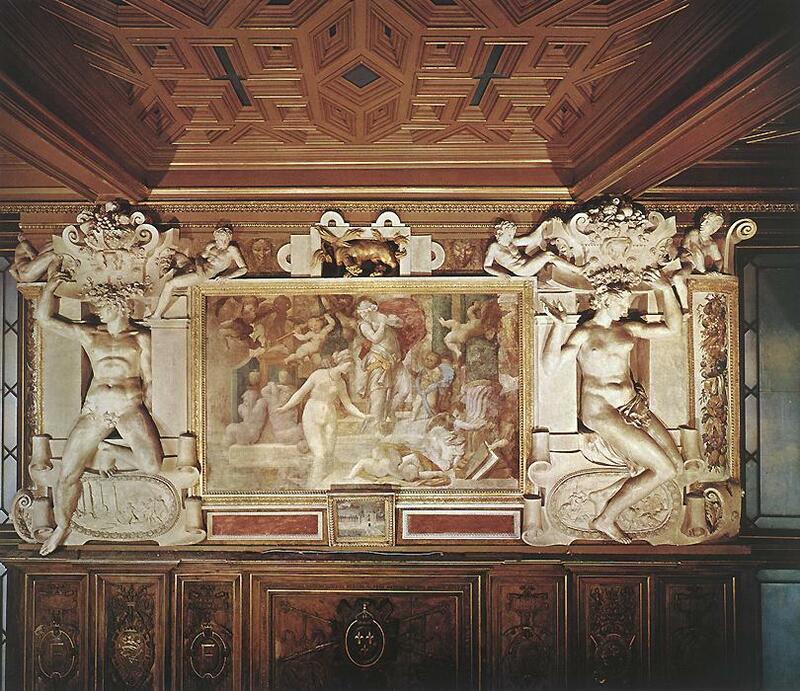 In their size and stiffness the slabs of decoration recall the stucco work that flanks the Loss of Perpetual Youth, although they also resemble that at either side of the Venus and Minerva fresco (Fig.P.22, I N a). 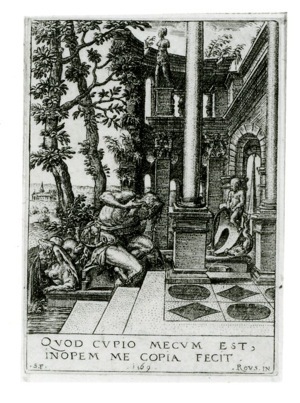 There is, however, a simplicity about the decorative elements of this engraving that suggests that it is earlier in date than anything that appears in the gallery. In this respect, it bears comparison with what is found in Rosso’s Narcissus (Fig.D.44; Fig.E.49) and in his Annunciation in the Albertina (Fig.D.43a). 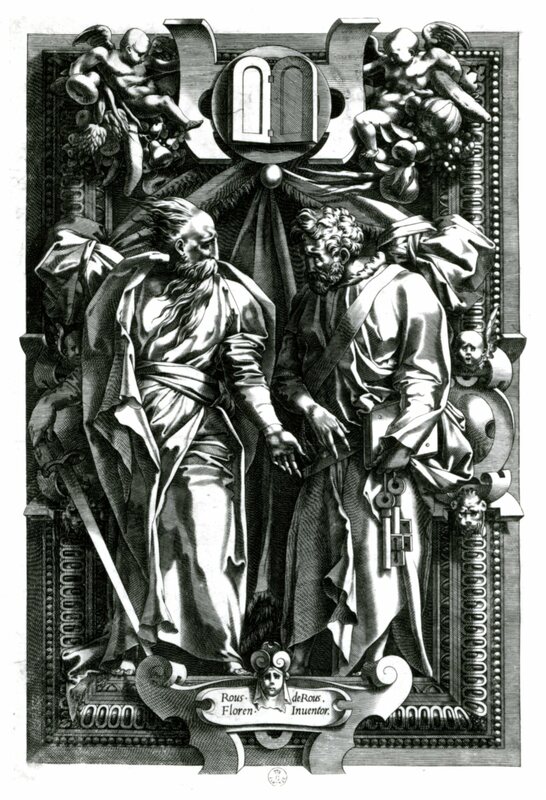 The abundance and complexity of the drapery, but also the compositional boldness of the St. Paul and St. Peter, seem to relate it also to Boyvin’s Judith, done apparently after an early French composition by Rosso possibly dating from 1530-1531 (Fig.E.7). 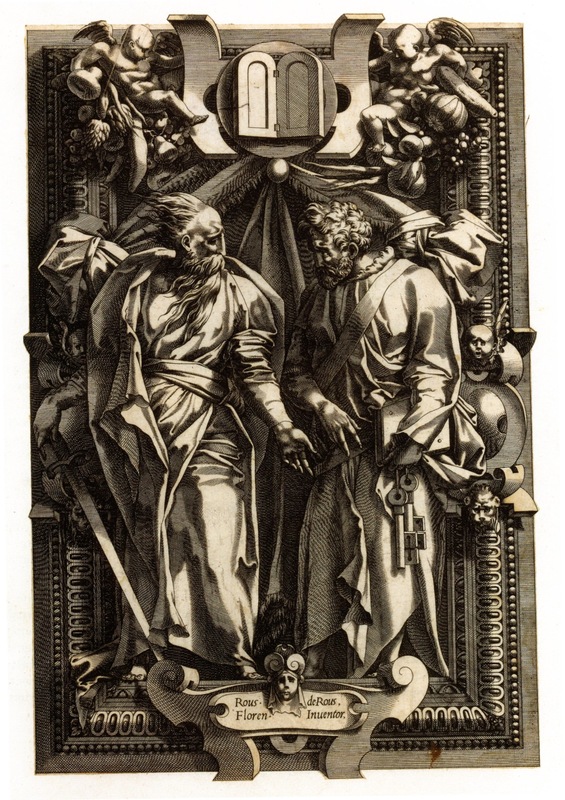 It may, therefore, be possible to recognize the St. Paul and St. Peter as done after a design of around 1530-1532. 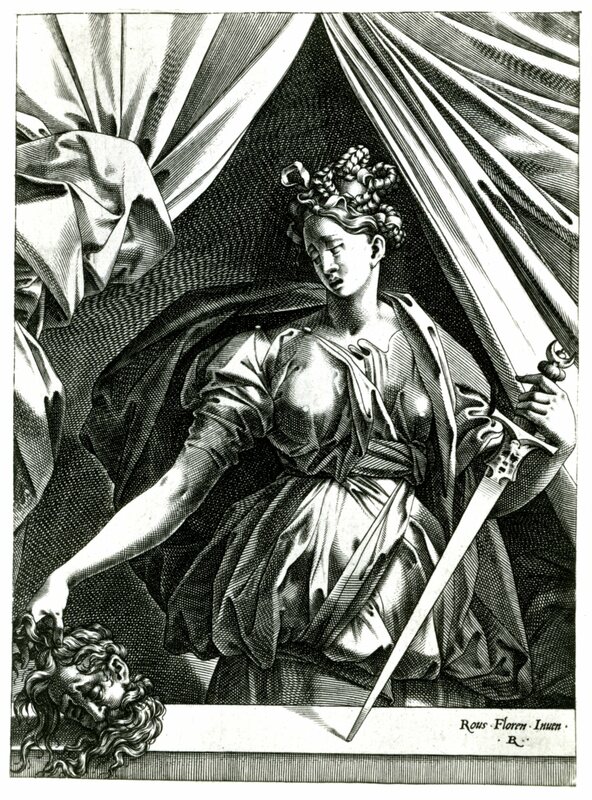 The engraving is not signed, but its technique is so similar to that of Boyvin’s signed Judith as to make it a reasonable supposition that it was made by him or by someone in his shop. 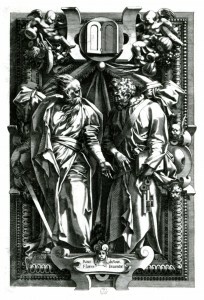 It shows a regularity in its system of engraving that does not especially resemble the technique of the engravings known to be by Milan. St. Paul’s significant gesture with his left hand may indicate that the image is in reverse of Rosso’s design. 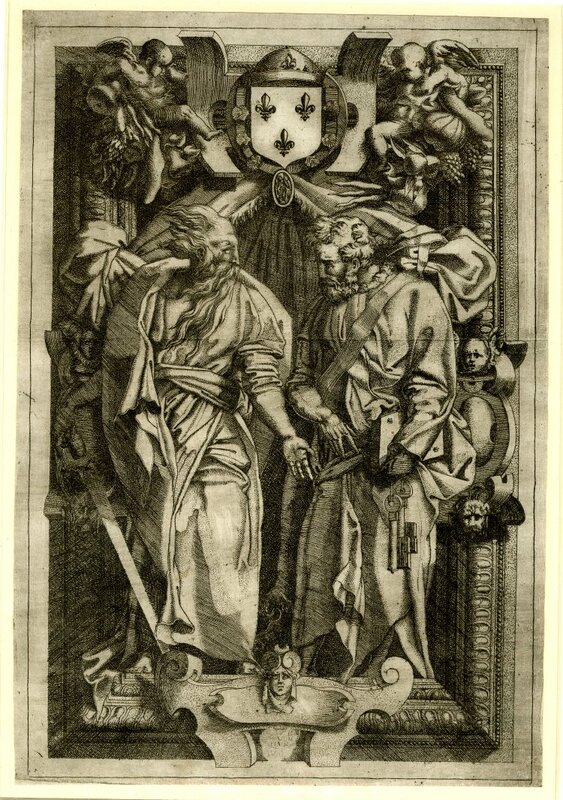 In its details and overall plasticity, this engraving seems to be somewhat more faithful to Rosso’s design than the etched version of this composition by Master I.♀.V. (Fig.E.98a). 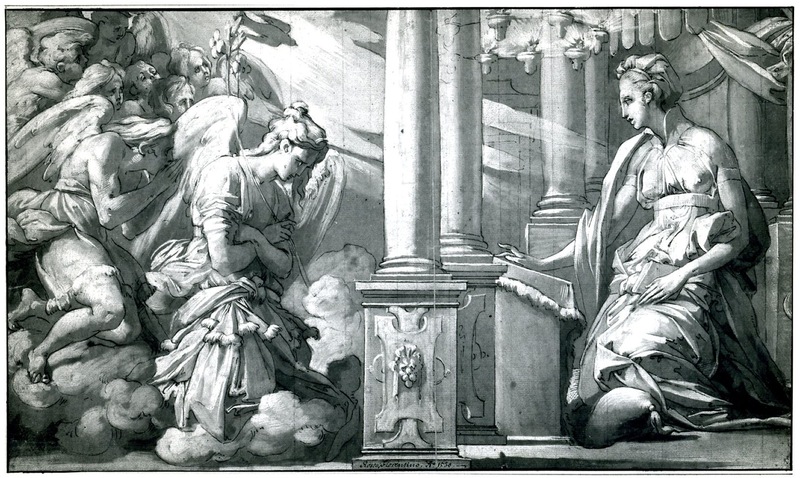 In spite of Béguin’s arguments, but also because of the significance she recognized in the Tablets of the Law at the top of the composition, I think this engraved image takes precedence over that of the etching by Master I.♀.V. The bold placement of the tablets within the limits of the circular disk behind them is precisely determined, as what replaces them in the etching is not, however much its accumulation of so many details forces an identification with King Francis I or more generally with the French monarchy. On the emblematic changes that were made to the image by Master I.♀.V. and Béguin’s finely argued discussion on the possible relation of the image to the King and to the Cardinal of Lorraine and to the Abbey of Cluny, see E.98.